Bromeliad is a well-known tropical epiphyte plant, growing in the ground and also on other stuff like rainforest trees, logs, rocks, and other plants. 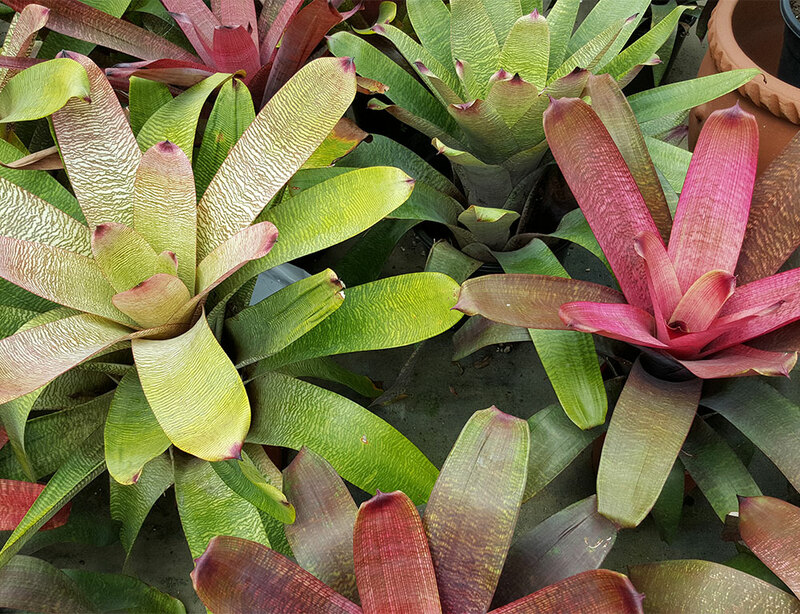 Popular as a striking houseplant with a lifespan of about 2 to 3 years, bromeliad comes with broad, succulent leaves and colorful foliage, flowering only once in its entire lifetime. The flowers last for about 3 to 6 months (sometimes longer). 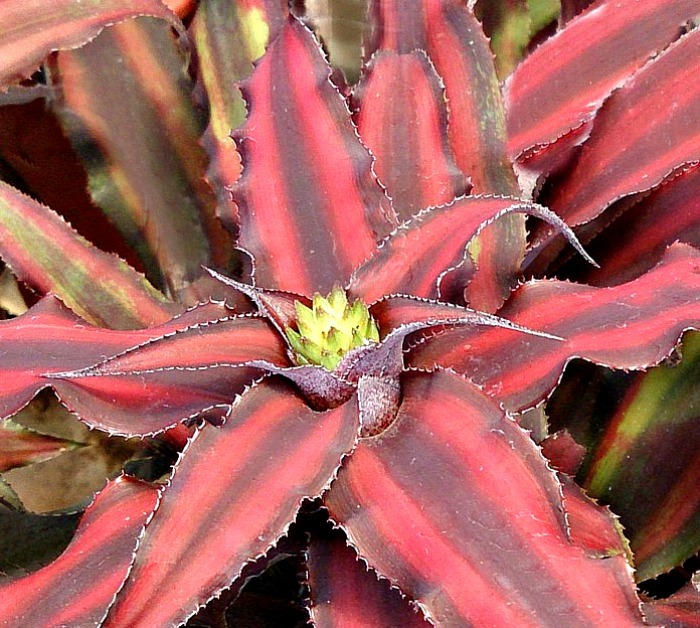 After a healthy bloom, the plant stops growing and begins producing offshoots called pups, visible at the base, giving the impression of a secondary bloom. These diverse types of bromeliad exhibiting several tones of foliage and flowers basically needs the same care and maintenance, though some may demand extra attention. 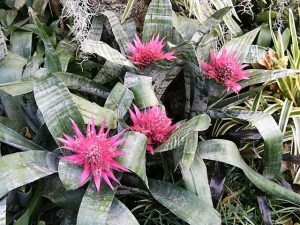 Keeping the different growing habits of the plant in mind (right from terrestrial to indoor containers), a soil-free growing medium would be suitable to allow better drainage. 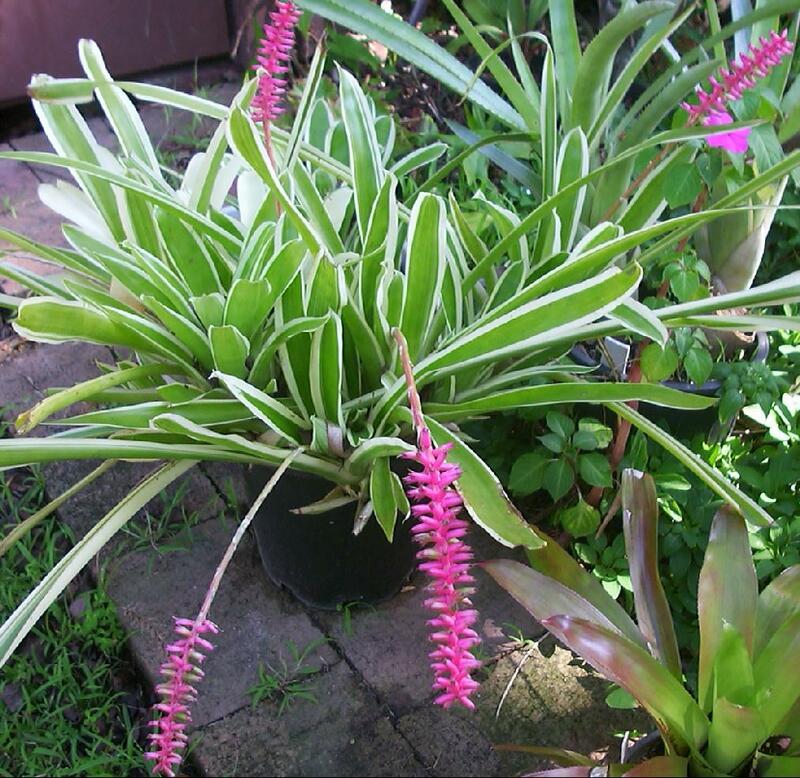 When grown in a pot, use a potting mix comprising of equal amounts of composted bark, perlite, and coir fiber. Another option is a mix of half fine composted bark and half multipurpose growing media such as peat-free. The presence of vermiculite/bark nuggets/cymbidium orchid compost alone also facilitates proper aeration and drainage. 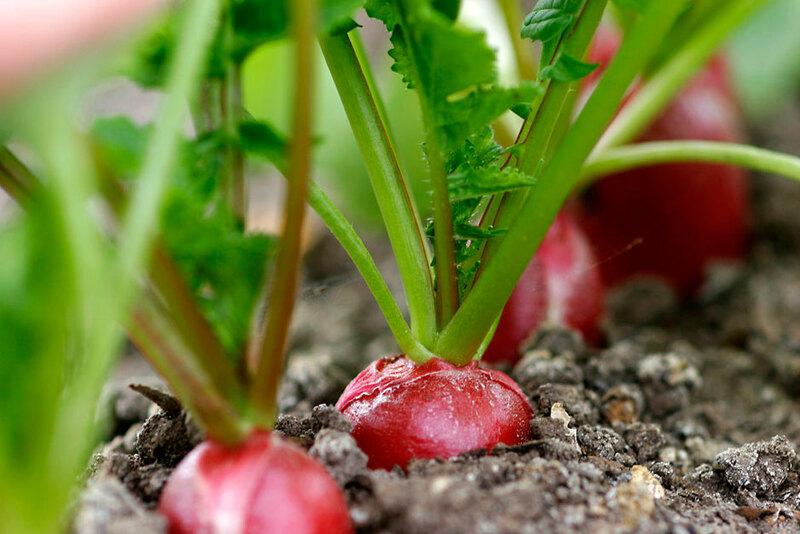 If you plan to grow it outdoors, tree branches, rocks, driftwood, or logs in your garden can provide a good growing surface. 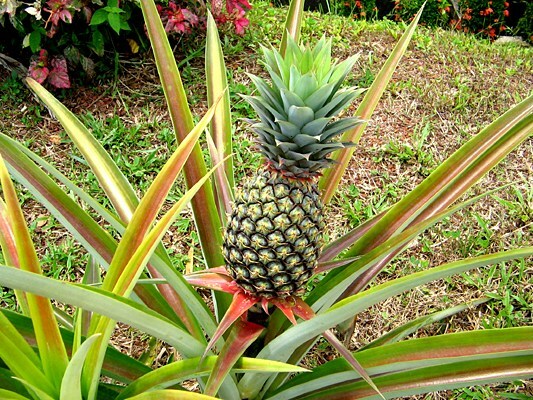 The plant you select should ideally be small enough to be supported only by its stem, as a larger one will be heavier at the top and fail to attach properly to the growing medium. 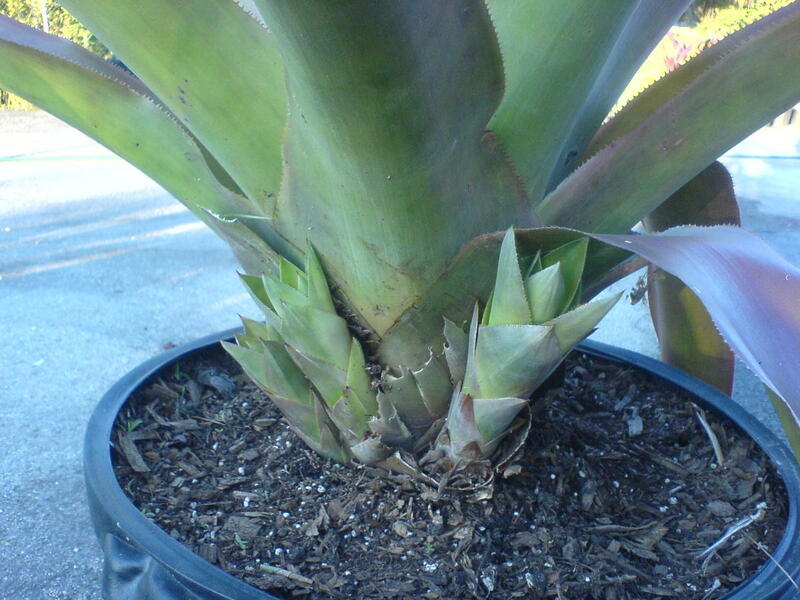 Once the plant is mounted, its roots will gradually grow and attach to the surface, bearing the entire weight. Clean the surface to remove fungi or moss and anchor the stem to it with a natural jute twine, silicone glue, electric staples, non-copper wire, or fishing line. As it may take around 1 to 6 months for it to get attached completely, continue watering lightly and applying a liquid fertilizer on a monthly basis. Small plastic pots measuring approximately 3 to 5 inches (7.5 to 12.5 cm) can easily accommodate a single plant, retaining the necessary moisture content, especially in dry and hot places. 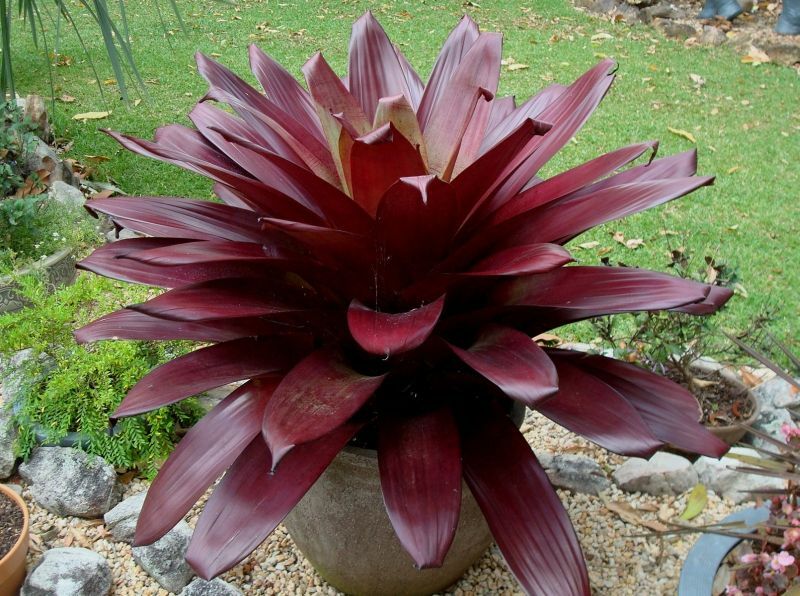 However, if your plant is particularly large, you may need a pot up to 7 inches (18 cm) wide. 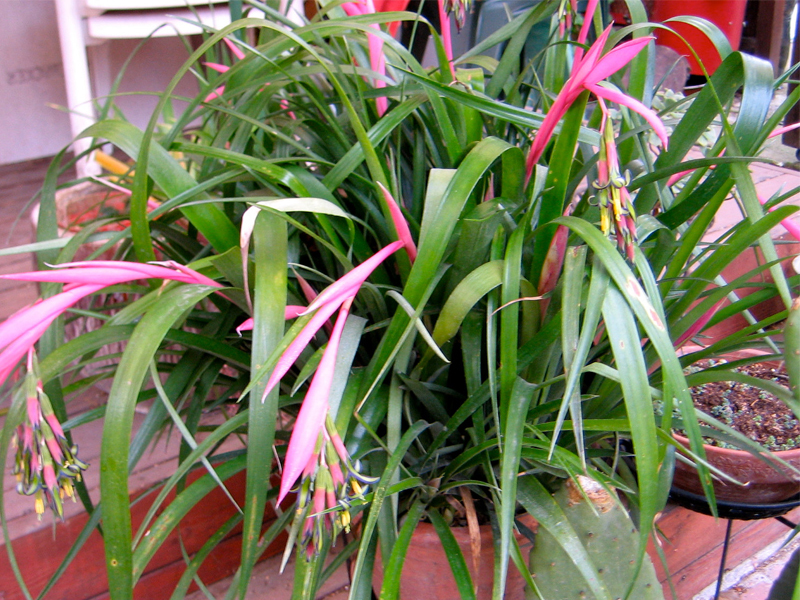 Clay pots should usually be avoided to prevent water from seeping out. However, if you are residing in a humid place, these pots with a proper drainage may be useful, getting rid of any excess water. 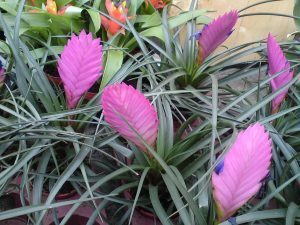 They grow well when subjected to 12 to 16 hours of low to bright light, with the exception of some varieties like Guzmania, Vriesea, and Aechmea that need constant shade. 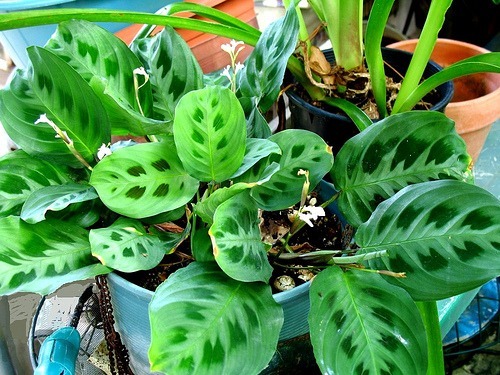 However, exposing it to direct sunlight over a longer period may damage the leaves. 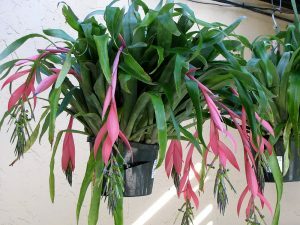 Placing indoor plants near a west- or south-facing window might help in achieving better growth results. 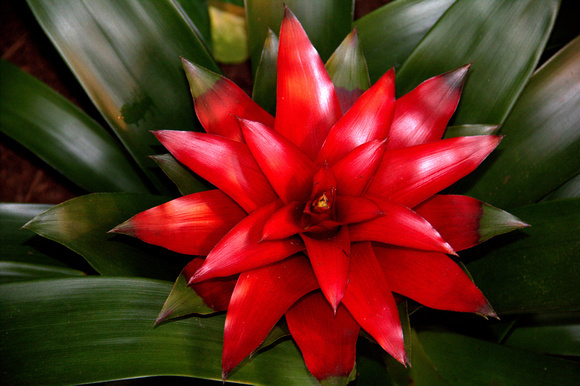 The optimal temperature for the plant is 70°F (21°C) during summer and 50°F (10°C) in winter. 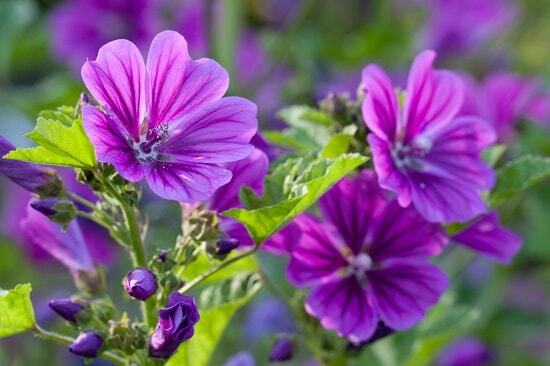 Once the flower buds appear, maintaining a lower temperature of 55°F (12°C) would help in retaining the flowers. Being a tropical plant, it is common to think that it will need a lot of watering. 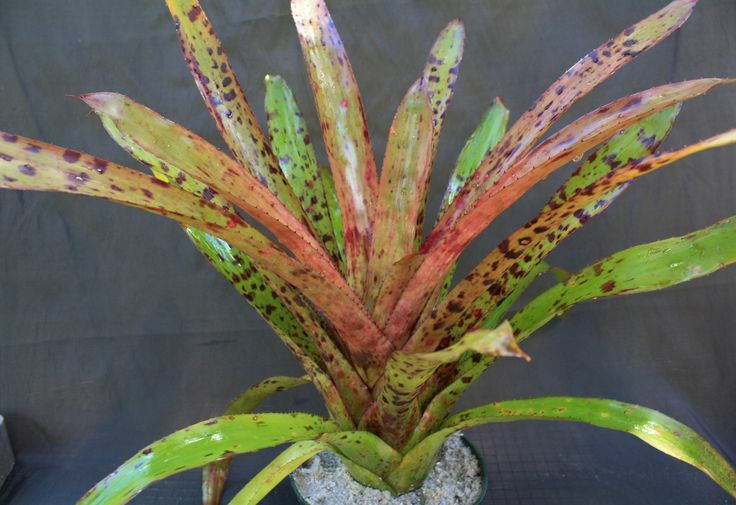 However, in truth it requires just minimum water to avoid dryness, and excess watering may actually cause root rot and permanently damage the plant. Watering once a week, or only when the top two inches of the soil appears dry should be enough for them to grow well. 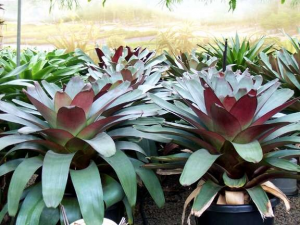 Plants in plastic pots must be carefully watered to avoid undesired accumulation, though if you are using a clay pot, it will drain the excess water. Just make sure to wet the potting mix thoroughly, without making it groggy. 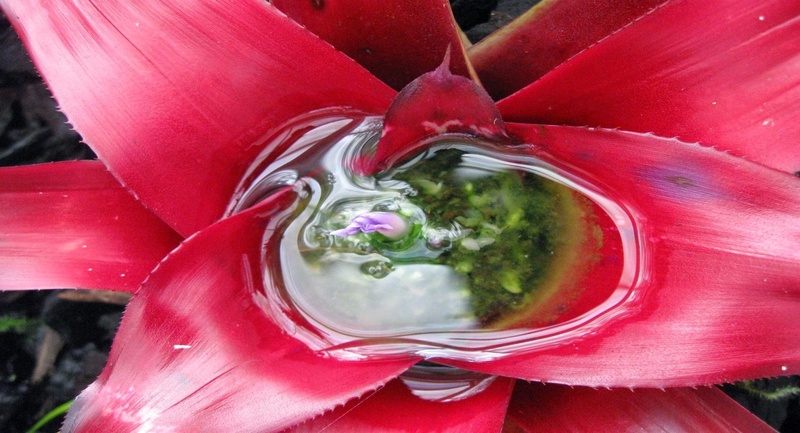 When watering a tank bromeliad, the plant type with a cupped rosette or tank at the center, the tank should be filled with water (preferably rainwater), as this variety draws little moisture with their roots, so it is not as useful to water the potting mix. Empty the tanks and refill with clean water once every 1-2 months. The epiphytic plants (growing from some other surface instead of in a pot) can be kept moist simply by misting with a spray bottle on a regular basis. 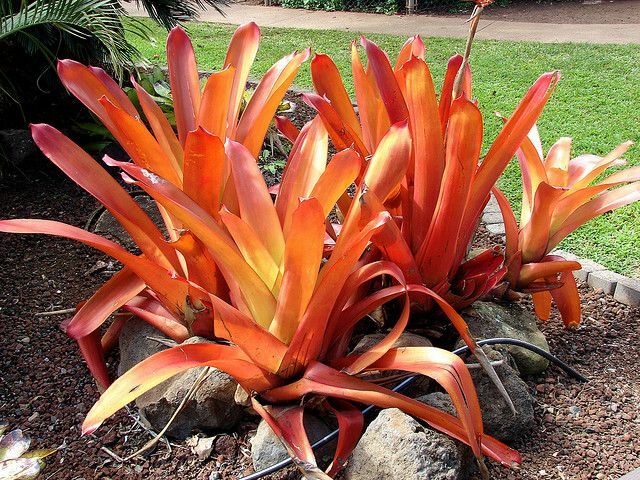 NOTE: Avoid using metal containers for watering as these plants are sensitive to metal, and may get damaged due to it. Mist the leaves with a spray bottle as often as possible. 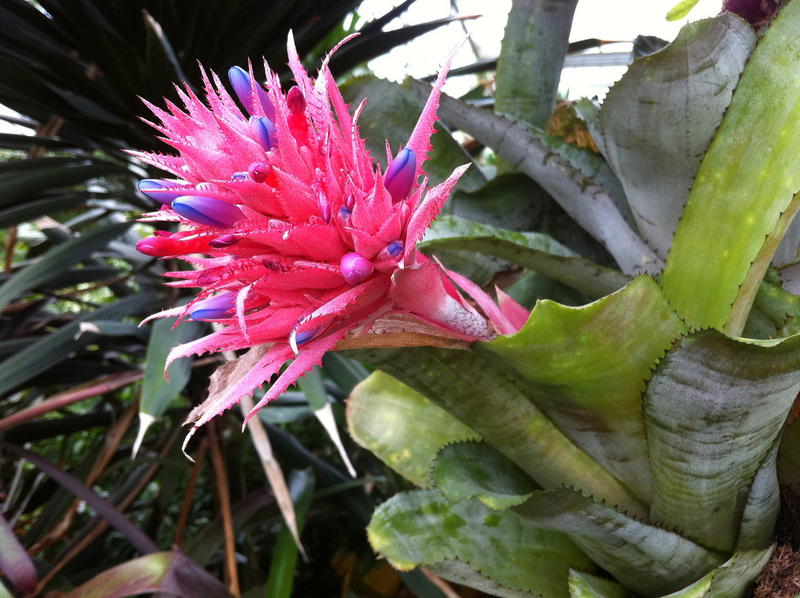 Surround it by other plants to add some moisture in air through transpiration. Fill a large tray or saucer with pebbles or stones and add water up to the surface of the pebbles. Then place the plant on or near the tray to help increase the humidity levels in the surroundings. 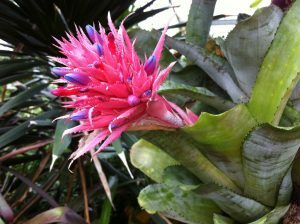 Use a humidifier near the plant if you are growing it indoors. The best feeding time is in spring and summer when it exhibits active growth. 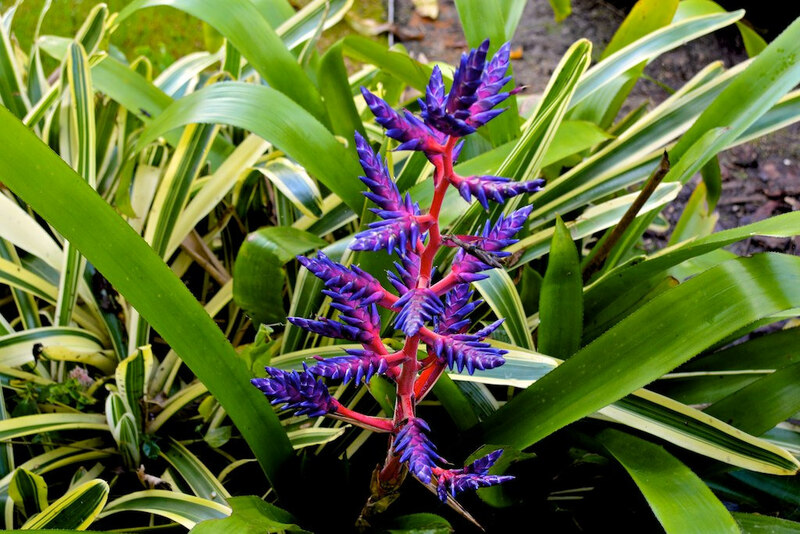 Too much fertilizing can affect the leaves and foliage since the plant is slow-growing. Lightly apply either a liquid/water-soluble fertilizer at one-quarter strength or a slow-release fertilizer in the form of powder, granules or pellets around the base of the plant, avoiding the tank in the middle to prevent foliage burn. Nursery plants may require a combination of a slow-release fertilizer and a liquid one, while hanging air plants have to be sprayed with a liquid fertilizer diluted to 1/2 to 1/4 strength. 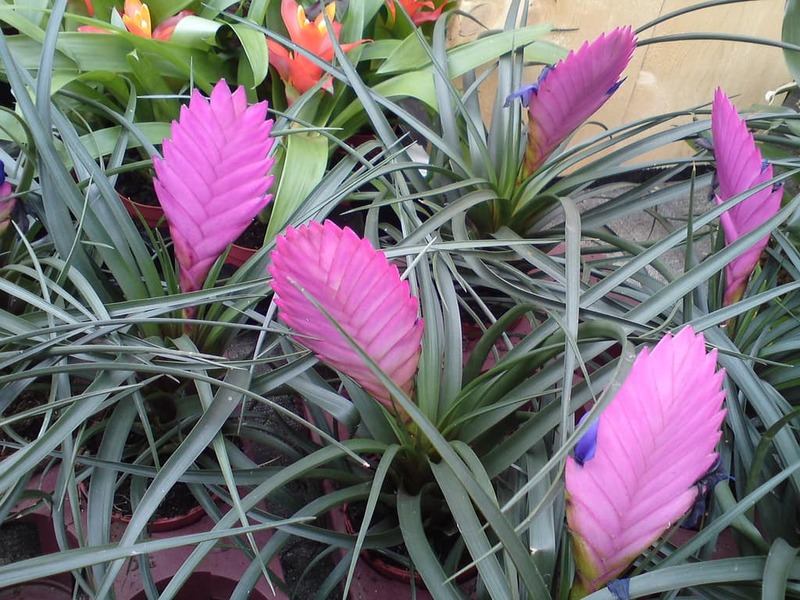 To make your plant bloom quickly, a combination of nitrogen (N) 3.0, phosphorus (P) 8.0, and potassium (K) 25.0, added with few other trace elements might help. 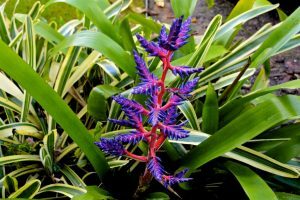 Some avid gardeners suggest that use of fertilizers with a higher potassium content than nitrogen helps with speeding up flower production and improve foliage color. 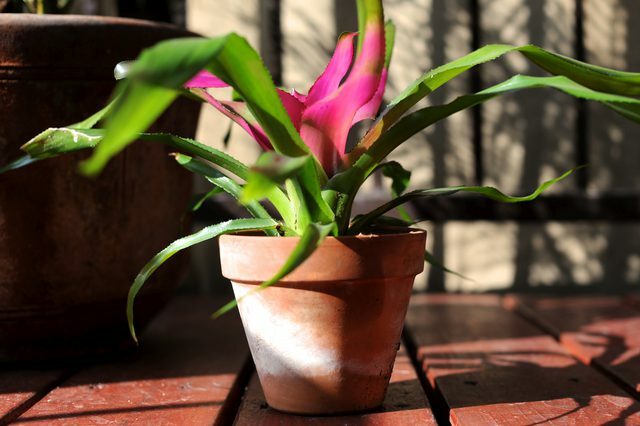 Having small and shallow roots makes the plant thrive in small pots during its short lifespan. The possibility of repotting, carried out ideally during spring, may arise when it overgrows its container or give rise to pups that may need to be accommodated in a new pot. While young plants/pups can be transferred to a 4-inch container, mature ones need a planter measuring no more than 6-7 inches. 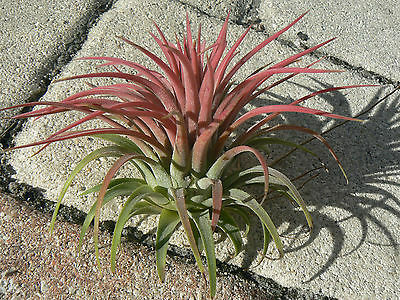 To repot pups, allow it grow up to 1/3 to 1/2 the size of the main plant. Then cut them with a sterilized knife or scissors as close as possible to the plant. Place your overgrown plant or pups into the new potting medium firmly, but not too deep or shallow, only up to the base of the leaves to prevent a crown rot. 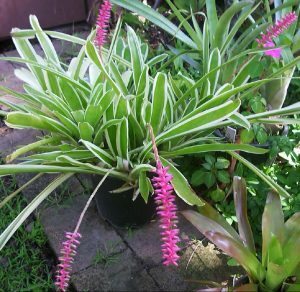 If the roots are still underdeveloped, the plant might not stay upright in the pot, moving freely around, resulting in damage. To prevent it, use wooden stakes to keep it secured at one place, allowing the roots to grow properly. 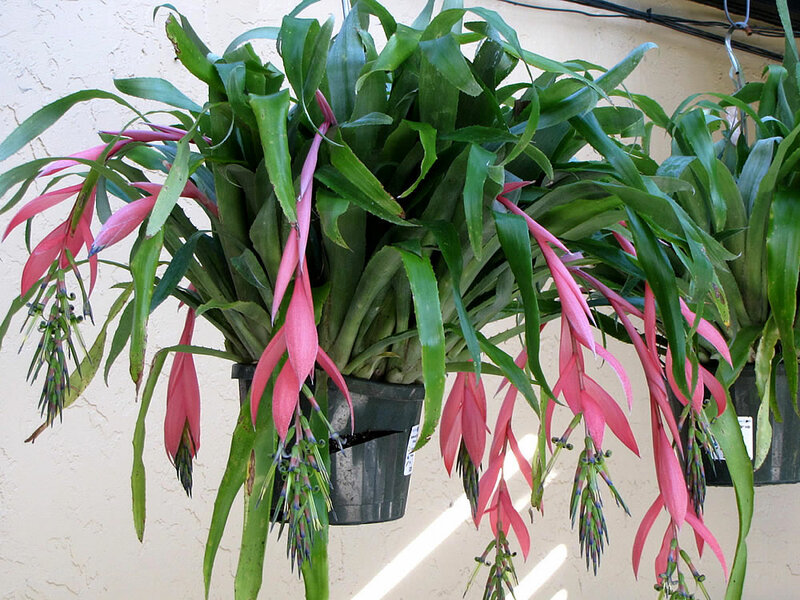 You can remove them once the roots have developed enough to support the weight of the plant. Apple in a bag: Place the entire plant including the container after removing any trace of water from it in a clean plastic bag without any holes along with a ripe apple (or even a banana/kiwi) and seal it at the top. 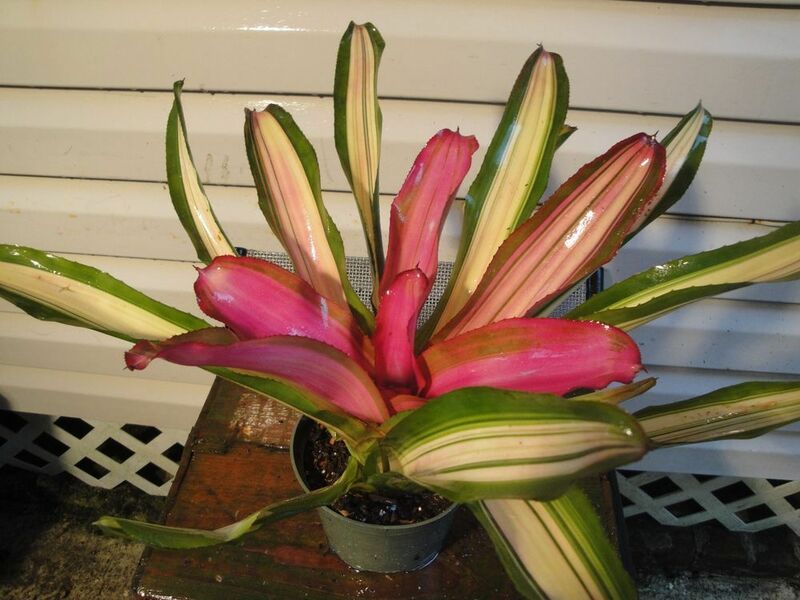 Keep it in this way for 7 to 10 days in a shaded region without exposing to direct sunlight. After removing the cover, wait for another 6 to 14 weeks till it begins to bloom. The early flowering is attributed to the ethylene gas emitted from the fruit. Ethylene-containing chemicals: Products with ethefon, a plant regulator, as an active ingredient present in various concentrations produces ethylene after dissolving in water. 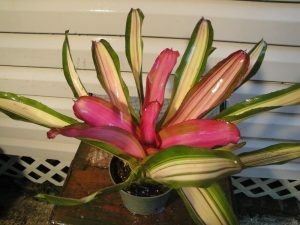 Once diluted, spray it lightly over the top of the plant within four hours. 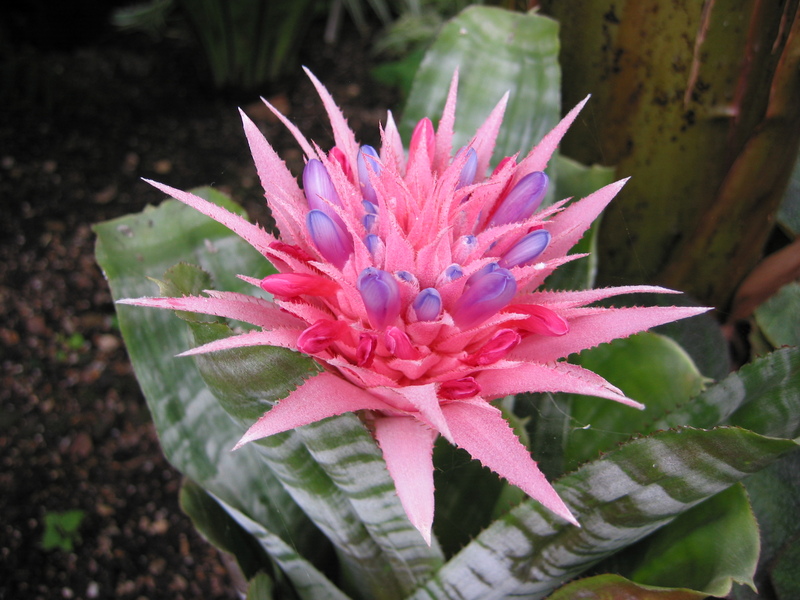 If you have a tank bromeliad, pour an ounce of it into the tank. The waiting time would be the same as in the previous method, excluding the first 7 to 10 day. Epsom salt: You can directly add 1 tablespoon of the salt into the soil. For a tank variety, dissolve some Epsom salt in water and pour it directly into the tank, repeating once every month. NOTE: Maintain an optimum night temperature of 65°F (18.3°C), and abstain from fertilizing two weeks before and after blooming. Once the flowers appear, it indicates that the mother plant will die soon without any chance of a re-bloom. 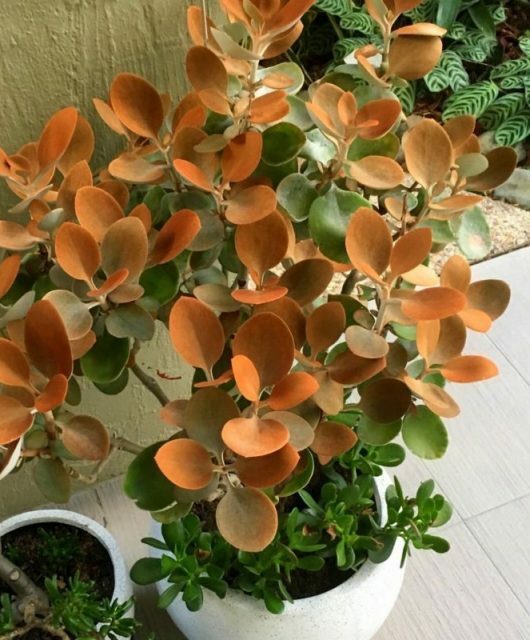 As they begin to fade and the foliage turns brown at the tips, you need to cut these dead parts off with a sterilized knife or pruning shears as far as below without damaging the remaining portion of the plant. 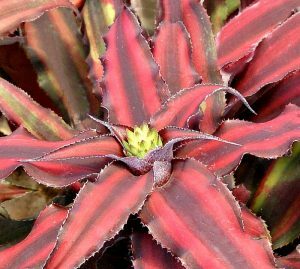 This way the offshoots are given room to grow in the same manner on the mother plant. 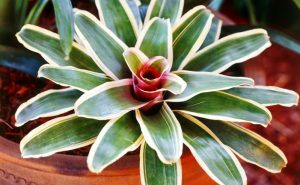 Failure to take proper care of the plant may make it vulnerable to pest attacks, losing color, stunted growth, and fungal diseases. Inadequate watering has been associated with poor growth and bloom. On the other hand, too much of it can turn the leave brown and cause root rot. 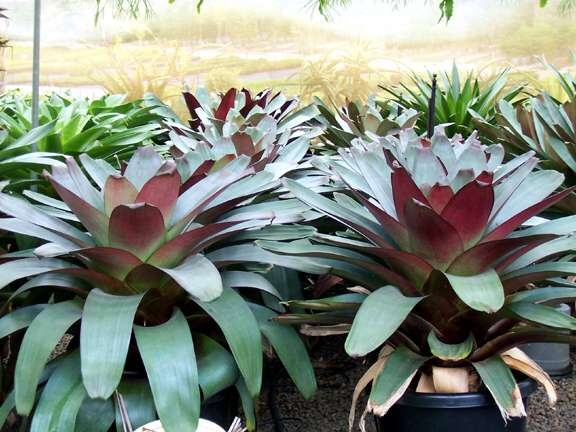 Regulate your watering session as per the requirement of your plant and use a free-draining potting mix. 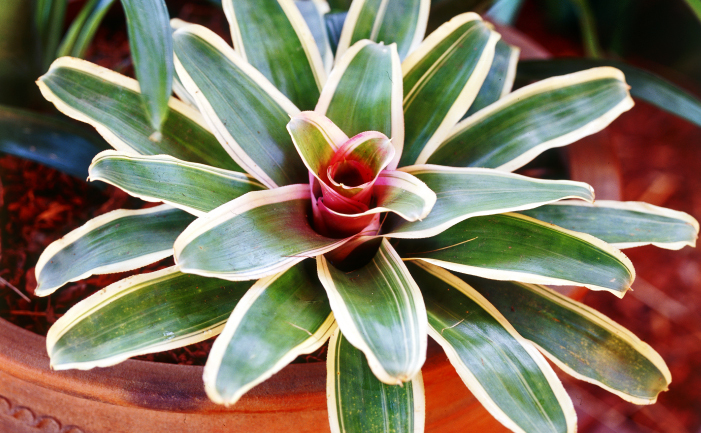 While too little sunlight can prevent it from thriving well, excessive exposure may bleach and burn the leaves. 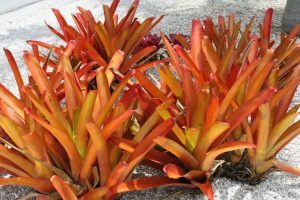 Additionally, if you apply your fertilizer in excess or use a one with the wrong concentration, it may burn the foliage or make it appear leggy. So, follow proper light and fertilizer schedule. 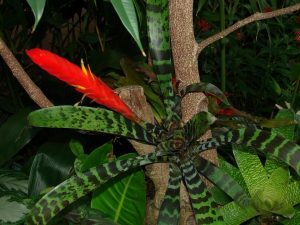 The leaves and flowers of the plant are often eaten off by Mexican bromeliad weevils that have a long red or black body with two yellow or black spots on their wing covers. Their larvae have a cream color appearance with a dark head, often attacking the base of your plant, ultimately killing it. Directly spray an insecticidal solution over the infested part every 2 to 3 months to get rid of them. If you spot just a couple of these insects on the leaves, handpick those wearing gloves. 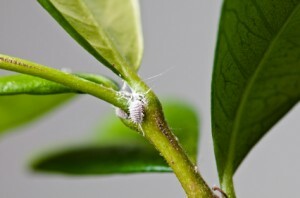 Mealybugs can feed on those leaves and flower stalks, forming small white powdery ovals. Scale insects, whose presence can be detected by the small brown bumps on leaves, are equally harmful. Remove them by scraping off with a swab dipped in rubbing alcohol or spray a mixture of alcohol and dishwashing soap every 3 days for 2 weeks. Also, use a slow-release nitrogen fertilizer to control their population. 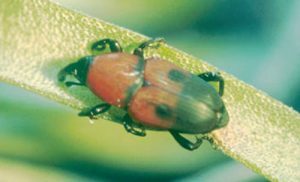 Spider mites make the leaves pale, covering in webbings, while snails and slugs feed on them, making holes and brown patches. Spray forcefully with water or insecticidal soap once every 3 to 5 days to get rid of these. As for the slugs/snails, they can be killed with some commercial liquid killers or pellets. 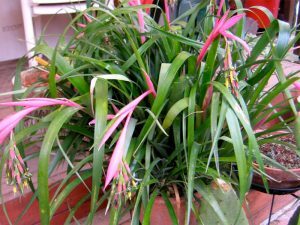 NOTE: Excessive accumulation of water in the pot as well as tank of the plant can be a favorable breeding place for mosquitoes. Prevent it by regularly emptying it and maintaining dryness. Lack of air circulation can give rise to fungal disease such as Helminthosporium leaf spot characterized by small brown or purple lesions on the foliage, resulting in wilting. 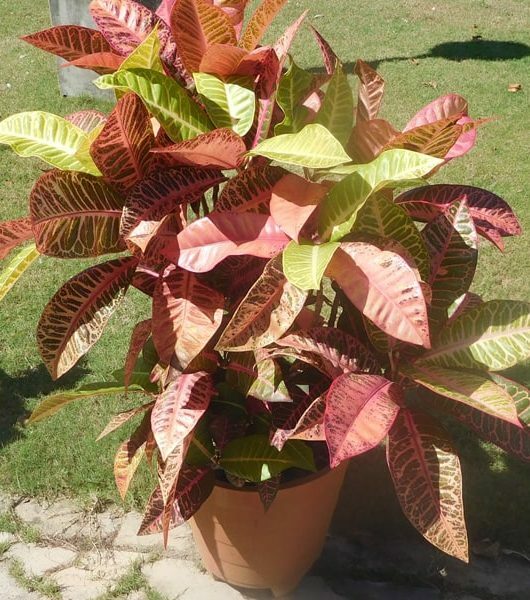 Minimize the risk by increasing air circulation and watering the leaves. Consider using a fungicide if the problem is severe. 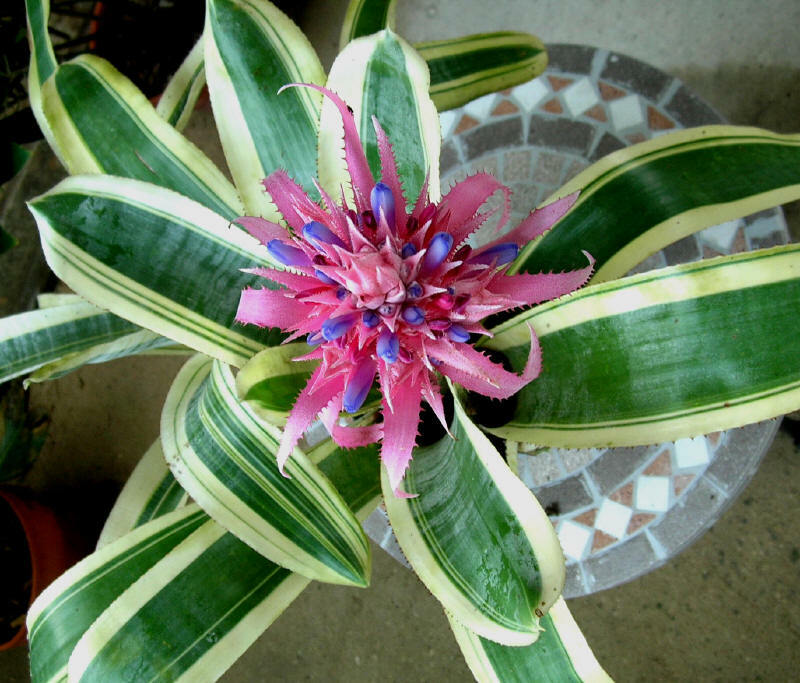 It is categorized as a non-poisonous plant, having no harmful effects on humans and pets. However, it would be safer to keep it out of the reach of children.